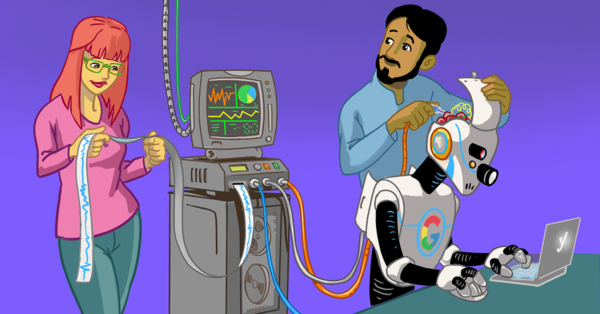 Home » SEO blog » Accessibility » Ask Yoast: Which is better in terms of bounce rate and traffic? Ask Yoast: Which is better in terms of bounce rate and traffic? Hooking up your site to services like Google Analytics provides you with a wealth of knowledge and data about visitors on your site. But it can be hard to know how to interpret all this data. And of course, you should also think about what your goals are. What’s most important for you may differ, based on the purpose of your site. For example, you can have a site with a low bounce rate, but also with a low amount of traffic. Is that a good or a bad thing? The truth is, it probably depends on several things. Like what? Let’s get into that in this Ask Yoast! From an SEO point of view which is better to have: a lower bounce rate and lower traffic to the site or a higher bounce rate and higher traffic to the site? Which is better: low or high bounce rate and traffic? “That’s a tough question to answer in a generic form, but usually, I would say that if you’re relevant to all the traffic, then having more traffic is probably better because then you can optimize for people not to bounce away. But if you’re not relevant for a lot of that traffic, then having less traffic is probably better because that means you get more targeted traffic, which actually wants to see you and that usually means that you’ll stick around longer in the long run. Good luck. 13 Responses to Ask Yoast: Which is better in terms of bounce rate and traffic? Yoast is one of the best SEO tools. I have been using this for all my websites. Whether in SEO, copywriting, content marketing, analytics will inevitably have to explain bounce rate to concerned clients. Unlike other metrics on Google Analytics’ dashboard, bounce rate is relatively ambiguous and hard to grasp. A difficult question to answer in a short post. Well put Joost. Every industry has a difference level of acceptable bounce rate, I would say. High traffic volumes and low bounce rates can be considered “vanity metrics” in a lot of cases. Often, they are used by agencies and freelance SEOs in client reports, but how informative are they really? On their own they don’t tell you very much. I like to set out a list of important metrics at the start of any project I’m involved with. The metrics that matter to each particular website. This could include; Bounce rate within a particular demographic, traffic volumes within a geo location, # social shares etc. Good article. Struggling myself with the bounce rate and traffic. I must admit how great Yoast seo is, it’s really helpful to me and my site too. Now I can easily manage title descriptions and keywords. Very useful video! Everthing is explained very clear! Thanks! i agree with you more traffic is much beneficial because we can maintain user on websites. Ultimately people start their business to make money , if there is not traffic then how they can make money? My Question is Yoast Plugin is beneficial for Event Blogging? Hi Mkey. If you have an event blog, it can be handy to use redirects. It’s very easy to make redirects in Yoast SEO Premium, so it can definitely be a great tool when you have an events page! We have talked about that a bit more in this article https://yoast.com/ask-yoast-keep-or-delete-and-redirect-event-pages/. Good luck! My site bounce rate is very high. I want to reduce the bounce rate. So this article is very helpful that I found from yoast. I think there’s another important factor to consider – “is a high bounce rate a bad thing for the type of site you are running?”. A bounce can mean someone came to their site, didn’t really like what they found and went away (bad)… but it can also mean they came to your site and the page they landed on immediately provided all the information they were after then and there (good). If your objective is to help people get to the answer quickly on things, high bouncing can be a sign of success. 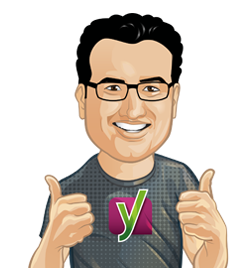 I must admit how great yoast seo is…and how helpful it has being to me when it has to do with content writing.